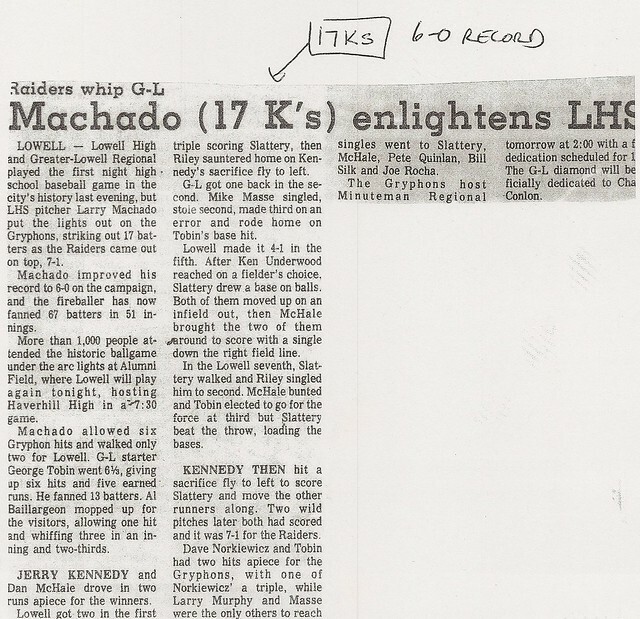 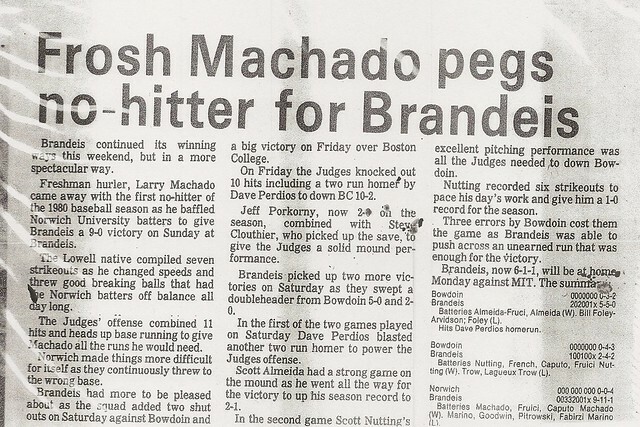 Despite his relative lack of physical stature, Larry Machado cast a giant shadow from the mound over hitters throughout the high school and college baseball worlds during his careers at Lowell High School and Brandeis University. 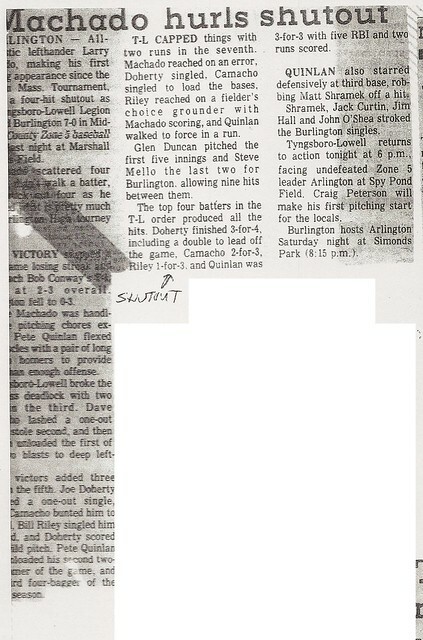 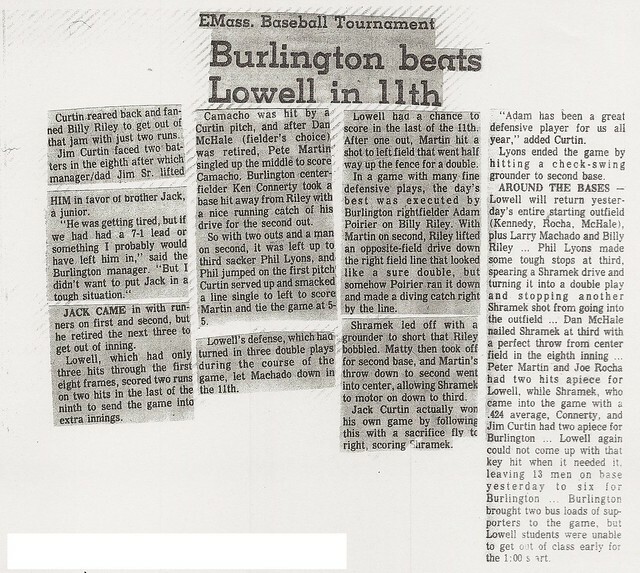 A starting outfielder for the Red and Gray during his junior year (1978), Larry, after having pitched only 4 innings during the regular season, came out of the bullpen and hurled 10 innings of 6-hit relief in an Eastern Massachusetts Tournament game against Burlington, surrendering only 2 runs (1 earned) while striking out 12 batters.Despite suffering the loss in that epic contest, Larry surprised the baseball intelligentsia throughout the state with his superb performance. 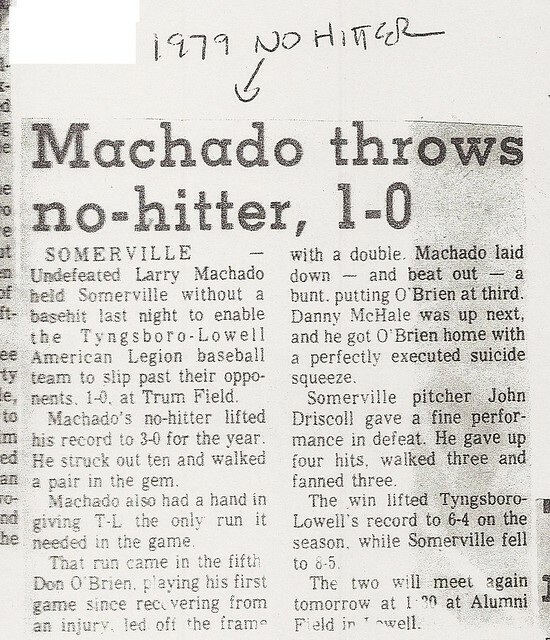 It was harbinger of things to come for the crafty left-hander. 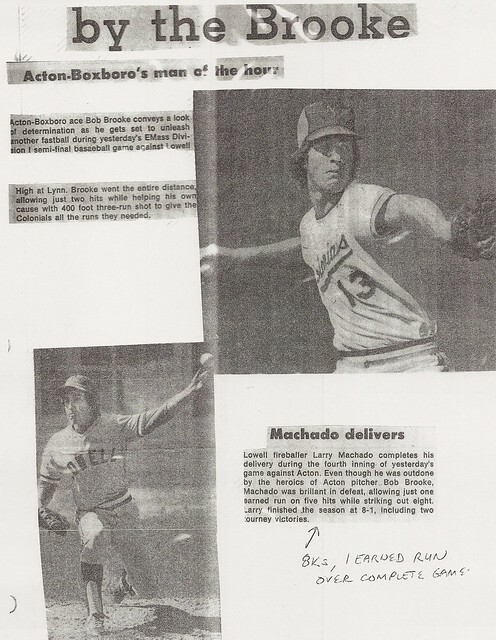 Larry’s senior season (1979) featured one highlight after another, as he quickly emerged as the ace of an outstanding Raider pitching staff. 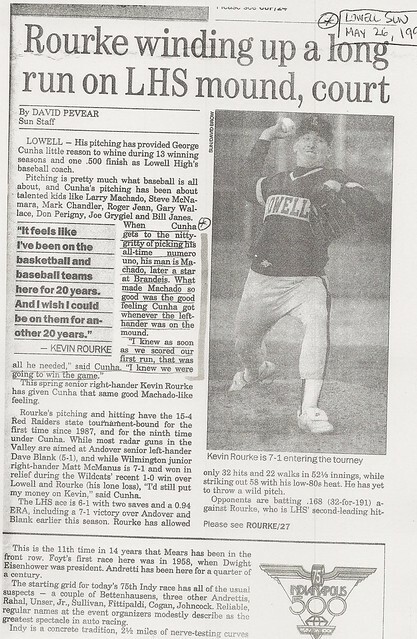 The stylish southpaw finished the season with a record of 8-1 and a miniscule earned run average of 0.91. 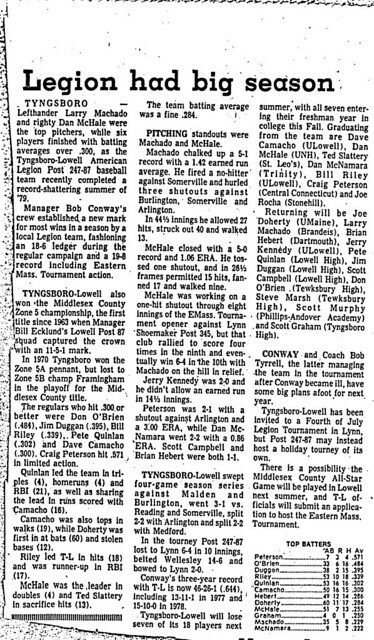 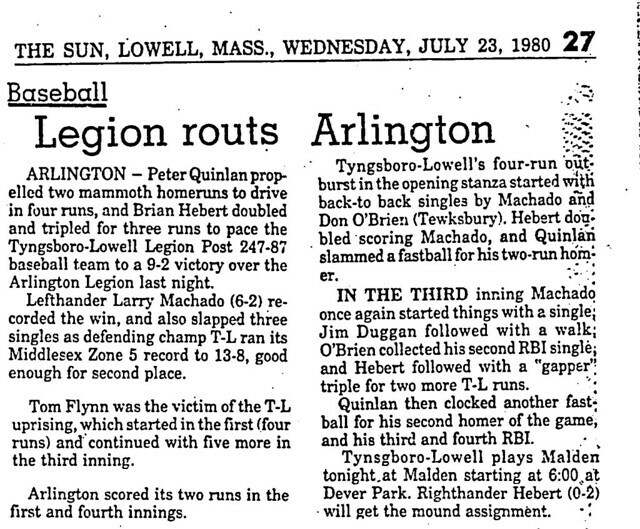 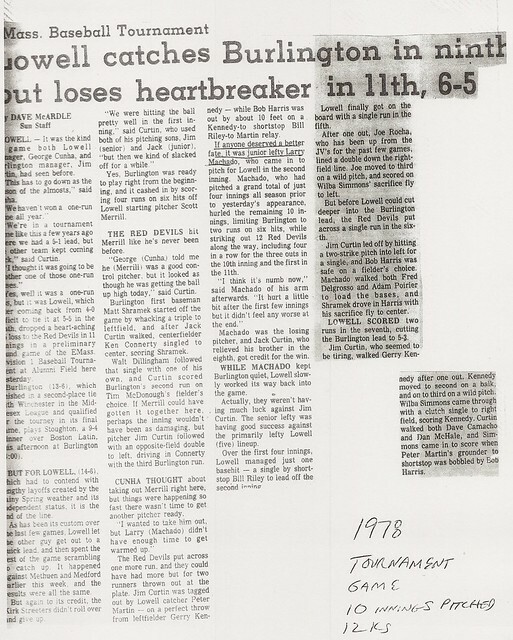 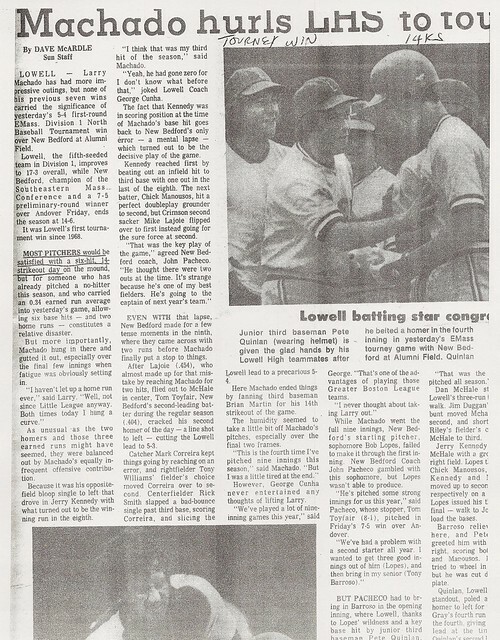 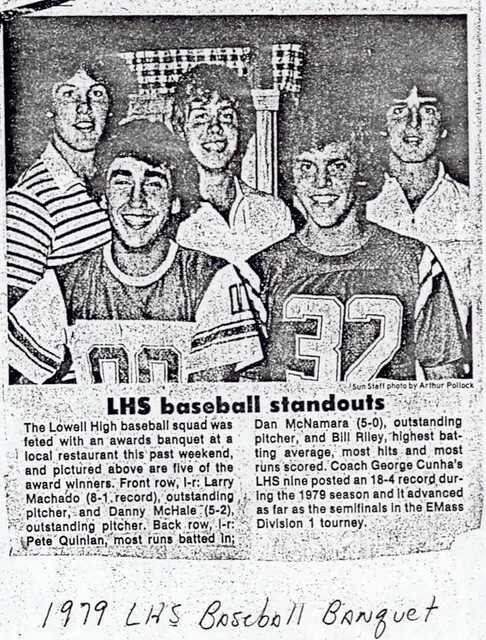 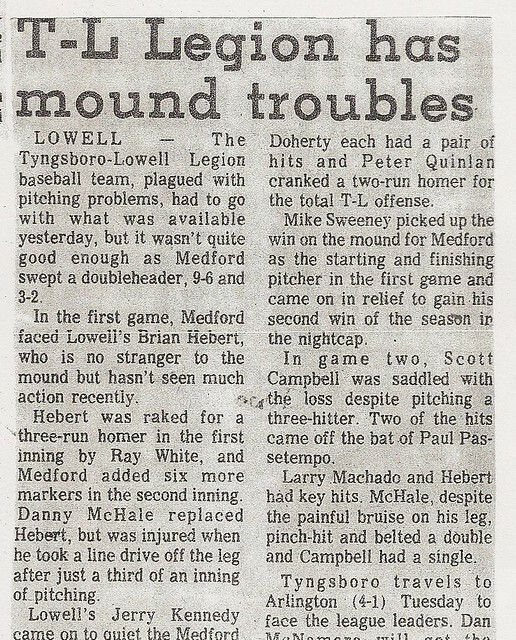 Larry struck out 101 batters in only 77 innings while surrendering only 35 hits and pitching 9 complete games.He was an integral part of Lowell’s 18-4 season and second consecutive trip to the Eastern Massachusetts State Tournament. 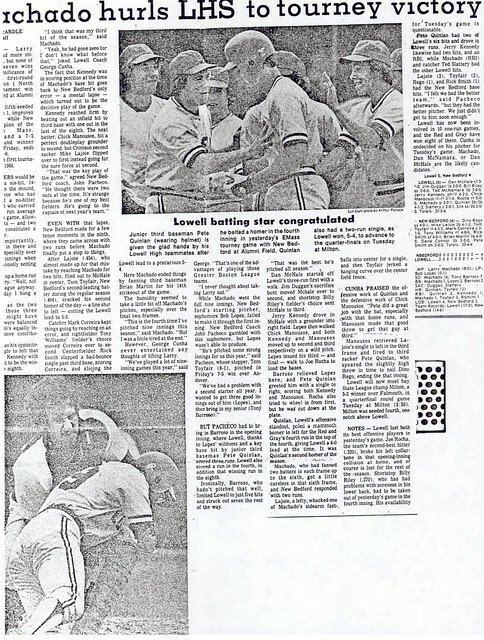 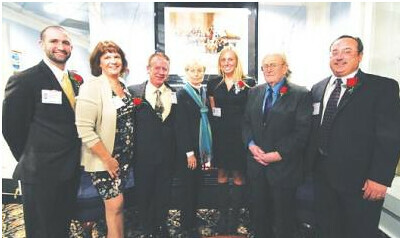 Outstanding performances were the norm rather than the exception during this memorable year. 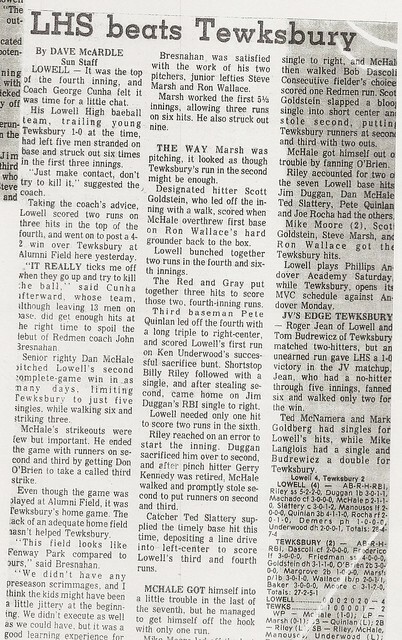 Larry struck out 17 in 7-1 victory over Greater Lowell Voke, struck out 16 in a 6-5 (only 2 earned runs) victory over Peabody, spun a two­ hit 1-0 win over Arlington, and tossed a one-hitter with 12 K’s against Dracut. 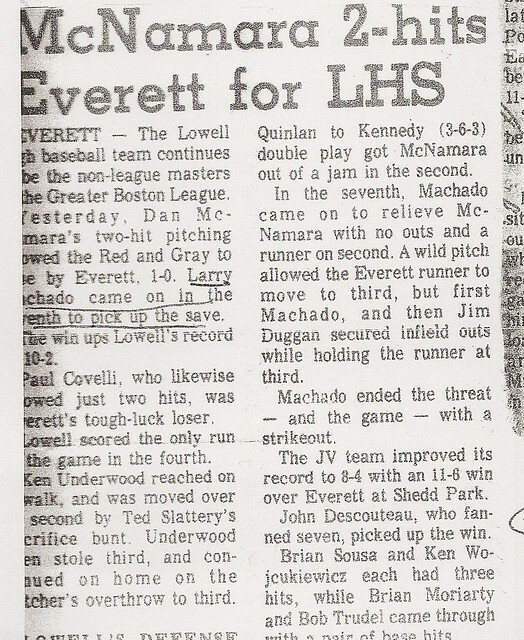 Larry finished the regular season in style, tossed a one-hitter with 12 K’s against Dracut. 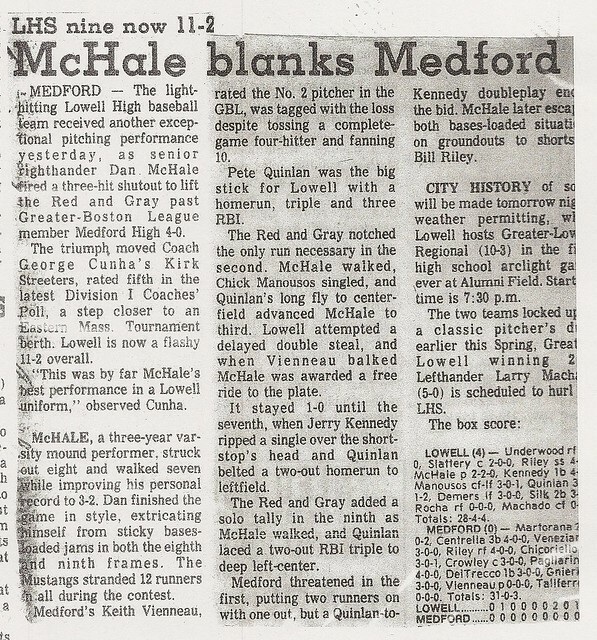 Larry finished the regular season in style, tossing only the ninth no­ hitter in the long history of Lowell High Baseball in a 1-0 win over Chelmsford. 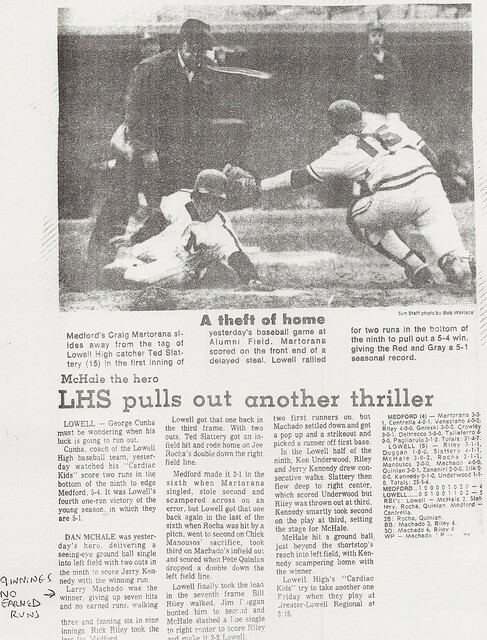 Larry was at his best in a 5-4 State Tournament first round victory over New Bed­ ford, striking out 14 (including a game-ending K with the tying runner on base). 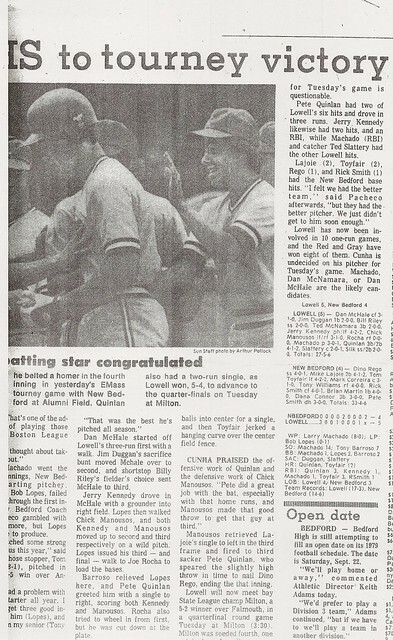 This after Larry singled in what proved to be the game-winning run in the eighth inning. 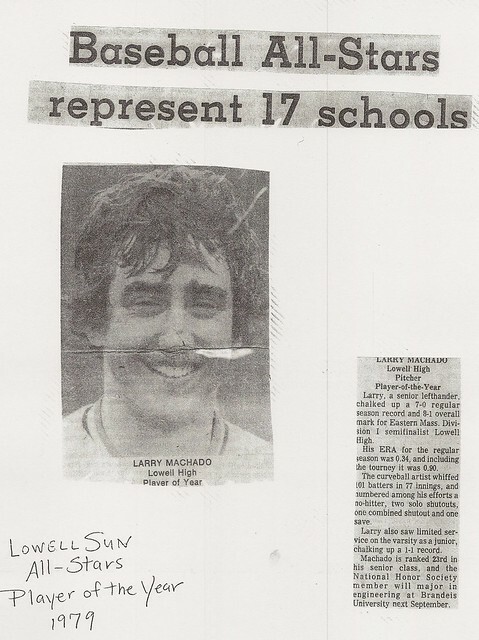 Larry was named to Boston Globe All-Scholastic team and also was selected as the Lowell Sun’s player-of-the-Year at season’s end. 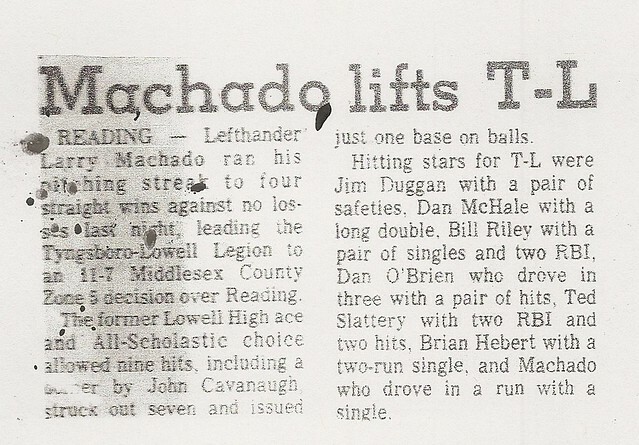 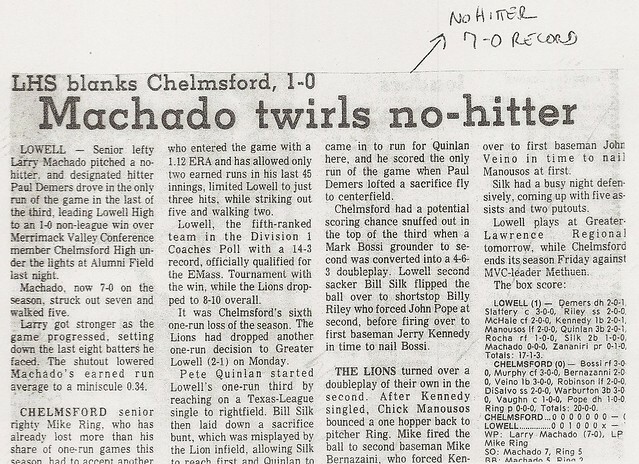 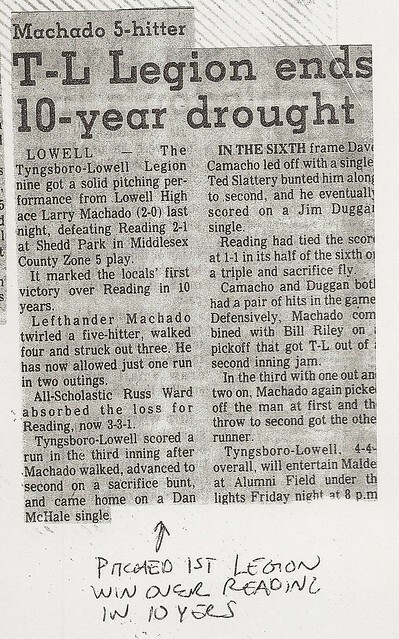 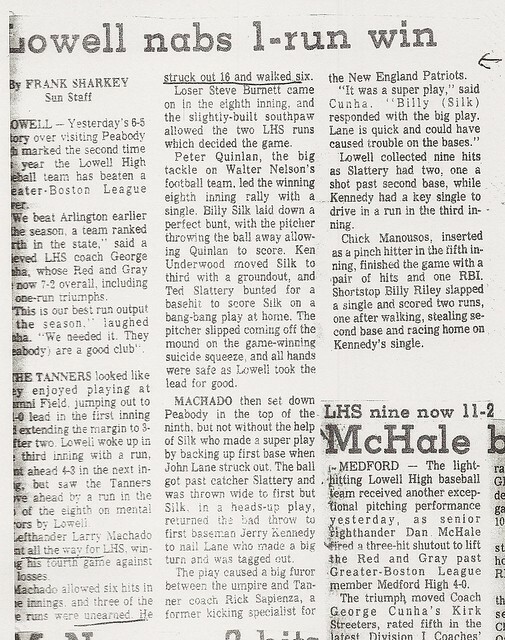 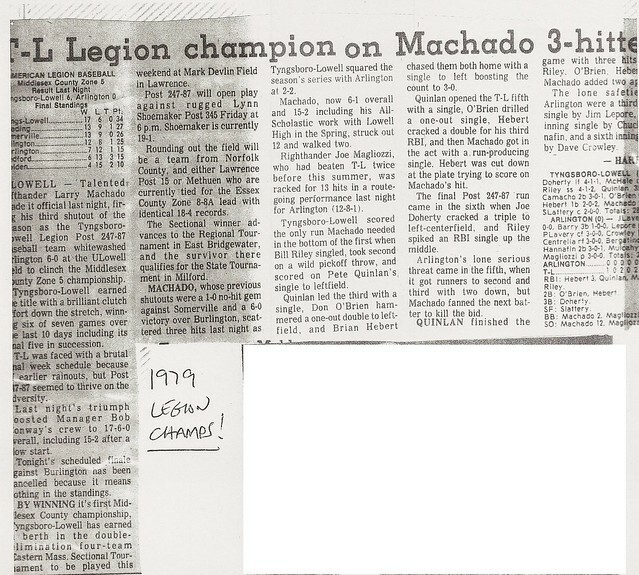 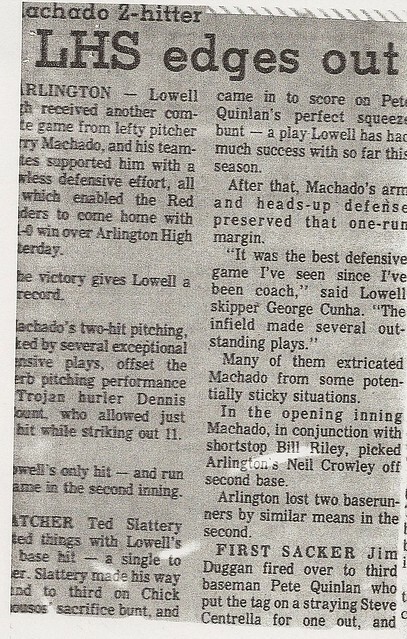 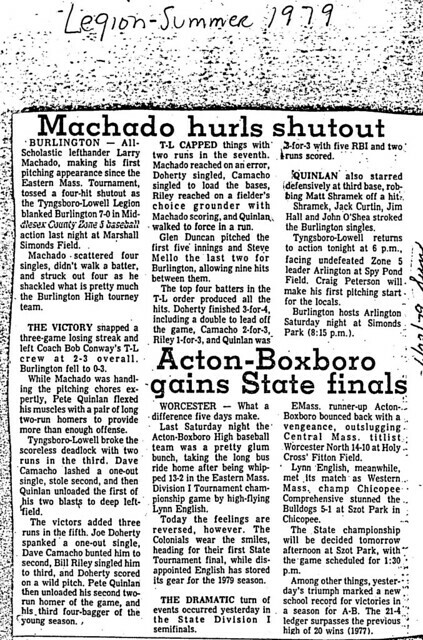 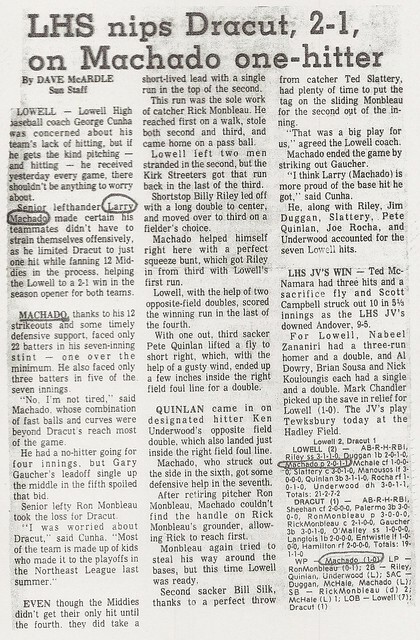 Larry Machado’s name can be found high in numerous pitching categories in the Lowell High School Baseball Record Book. 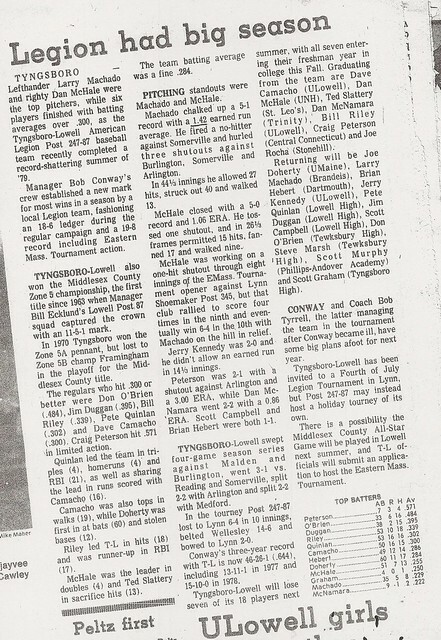 Of particular note are his career earned run average of 0.92 (4th) and his 17 strike outs in a game (3rd most in a 7-inning contest). 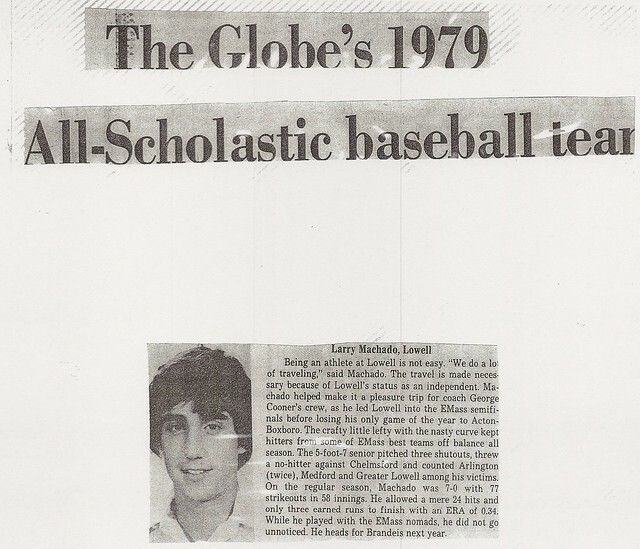 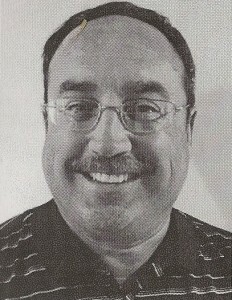 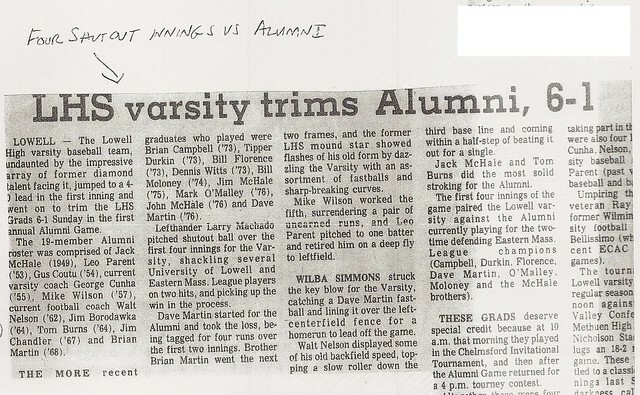 After graduation Larry enrolled at Brandeis University (class of 1983) where he continued his baseball exploits. 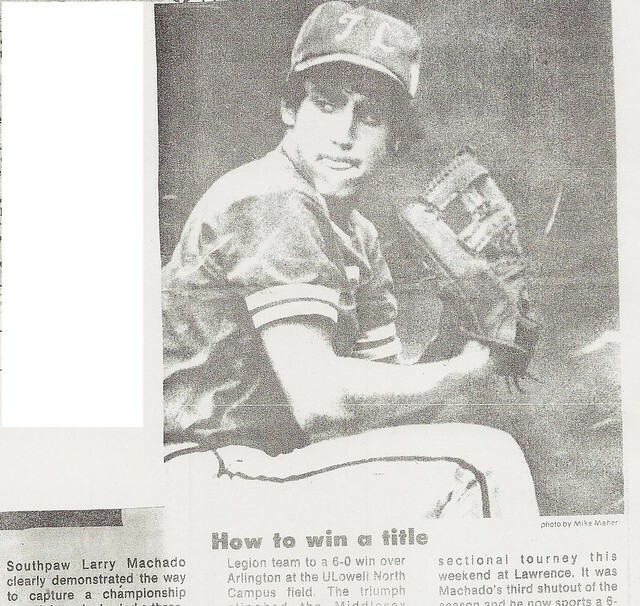 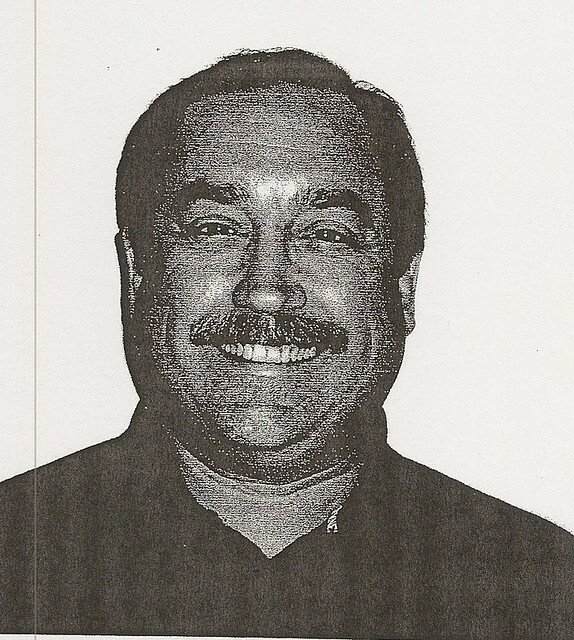 A 4-year varsity performer for the Judges, Larry hurled a no-hitter against Norwich as a freshman (1980) and made NCAA Tournament appearances in both 1980 and 1982. 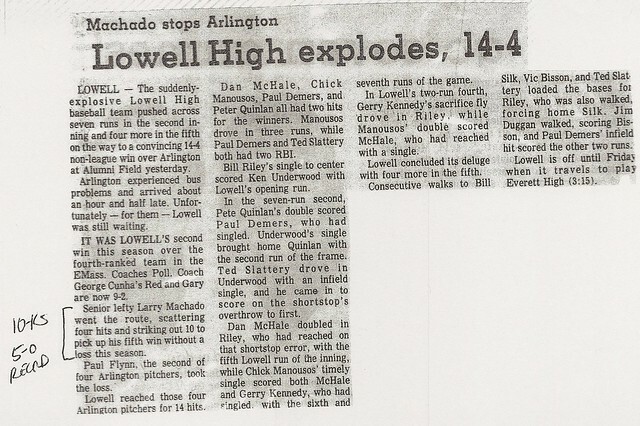 He was team Co-Captain as a senior (1983) and finished his Brandeis career with an overall record of 16-6.